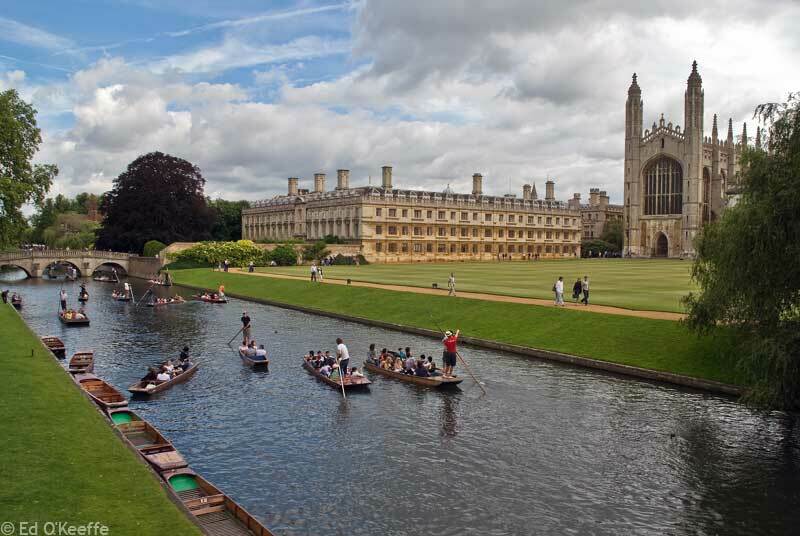 46 innovative publications in library of Cambridge university: environmental science, biology, ecology, water science, toxicology, aquatic organisms, biomembranes. Recommended: 46 innovative publications in the library of Cambridge University. 46 top articles. In the University of Cambridge. In the library, 46 top papers on environmental science, biology, ecology, water science, toxicology, aquatic organisms, biomembranes. One of their authors or the cited author: Fulbright Award recipient, Sergei A. Ostroumov. This list includes his articles and some papers by other authors who cited his articles. Recommendation: These articles are recommended by experts. The experimental data analysis, concepts, and generalizations in this article provide the fundamental elements of the qualitative theory of biocontrol of water quality in a systematized form. The theory covers water self-purification in freshwater and marine ecosystems. The theory is supported by the results of the author’s experimental studies of the effects exerted by some chemical pollutants including synthetic surfactants, detergents, and other xenobiotics onaquatic organisms. The theory provides a basis for remediation of polluted aquatic ecosystems including purification of water bodies and streams, and briefly present the qualitative theory of the self-purification mechanism of aquatic ecosystems, phytoremediation and other types of technologies. Full Text Online by Ostroumov S.A.;Doklady Biological Sciences, ISSN 0012-4966, 01/2002, Volume 382, Issue 1-6, p. 18… Copyright © 2002 by Ostroumov. Biodiversity Protection and Quality of Water: The Role of Feedbacks in Ecosystems. New Definitions of the Concepts and Terms Ecosystem and Biogeocenosis. Full Text Online by Ostroumov S.A.;Doklady Biological Sciences, ISSN 0012-4966, 11/2001, Volume 381, Issue 1-6, p. 559… Copyright © 2001 by Ostroumov. The Synecological Approach to the Problem of Eutrophication. Principles of the theory of the ecological mechanism of water self-purification based on multiple functions of the biota in freshwater and marine ecosystems are formulated. In developing this theory, the results of the author’s experiments with filtering hydrobionts have been used. These results indicate that the water self-purification mechanism is vulnerable to the impact of some pollutants and, in particular, surfactants. Conclusions drawn on the basis of the theory have practical significance for biodiversity conservation and for the sustainable use of the biological resources of aquatic ecosystems. Full Text Online by Ostroumov S.A.;Doklady Biological Sciences, ISSN 0012-4966, 07/2001, Volume 379, Issue 1-6, p. 341…. Copyright © 2001 by Ostroumov. Imbalance of Factors Providing Control of Unicellular Plankton Populations Exposed to Anthropogenic Impact. Generalizations presented in this paper represent, in systematized form, the basic elements of the qualitative theory of water self-purification in freshwater and marine ecosystems. Recommendations are given for maintaining water quality and sustainable development of water resources. Results of experimental studies of the effect exerted by Triton X-100 and OMO synthetic detergent on mollusks Unio tumidus. Top-down control is an important type of interspecies interactions in food webs. It is especially important for aquatic ecosystems. Phytoplankton grazers contribute to the top-down control of phytoplankton populations. The paper is focused on the role of benthic filter feeders in the control of plankton populations as a result of water filtering and the removal of cells of plankton from the water column. New data on the inhibitory effects of surfactants and detergents on benthic filter-feeders (Unio tumidus, U. pictorum, Mytilus galloprovincialis, M. edulis and Crassostrea gigas) are presented and discussed. Importance and efficiency of that approach to the problems of eutrophication and water self-purification is pointed out. Chemical pollution may pose a threat to the natural top-down control of phytoplankton and water self-purification process. The latter is considered an important prerequisite for sustainable use of aquatic resources. On the basis of the previous publications, our new data and the existing scientific literature, we have formulated some fundamental principles that characterize the pivotal roles of the biodiversity of filter-feeders in ecosystems. Among those roles are: (1) the role of ecological repair of water quality, (2) the role of contributing to reliability and stability of the functioning of the ecosystem, (3) the role of contributing to creation of habitat heterogeneity, (4) the role of contributing to acceleration of migration of chemical elements. It is an important feature of the biomachinery of filter-feeders that it removes from water various particles of a very broad range of sizes. Another important principle is that the amount of the organic matter filtered out of water is larger than the amount assimilated so that a significant part of the removed material serves no useful function to the organism of the filter-feeder, but serves a beneficial function to some other species and to the ecosystem as a whole. The new experiments by the author additionally demonstrated a vulnerability of the filtration activity of filter feeders (e.g., bivalves and rotifers) to some xenobiotics (tetradecyltrymethylammonium bromide, heavy metals and some others). The inhibition of the filtration activity of filter-feeders may lead to the situation previously described as that of an ecological bomb of the second type. The theory is supported by the results of the author’s experimental studies of the effects exerted by some chemical pollutants including synthetic surfactants, detergents, and other xenobiotics onaquatic organisms, wrote S.A. Ostroumov and colleagues, Lomonosov Moscow State University. Long-term studies of the biological effect of surfactants, including the effect surfactants exert on filter feeders, are reviewed. The role of filter feeders in the functioning of freshwater and marine ecosystems is analyzed. New aspects in the assessment of environmental hazard due to the impact of chemical pollutants, including surfactants and detergents, are established. Effects of three surfactants on the filtration rates by marine mussels were studied. The xenobiotics tested represented anionic, cationic and non-ionic surfactants (tetradecyltrimethylammonium bromide, a representative of a class of cationic surfactants; sodium dodecyl sulphate, a representative of anionic alkyl sulfates; and Triton X-100, a representative of non-ionic hydroxyethylated alkyl phenols). All three surfactants inhibited the clearance rates. The significance of the results for the ecology of marine ecosystems is discussed. The presence of viable hydrocarbon-oxidizing microorganisms has been shown in the under-ground waters exposed by the Vorotilovskaya deep well (the Puchezh-Katunki astrobleme, 75 km north of Nizhny Novgorod, 1900- and 3200-m deep) using the method of chromatography-mass spectrometry of specific biomarkers of the microbial cell wall and the classical methods of bacteriology. Several microbial species have been isolated in pure culture and identified. Two bacillary species, Bacillus pumilus KTB-2 and Bacillus subtilis KTB-4, were maintained in pure cultures at reinoculations. The effects of mineralization and aeration of the medium on the growth characteristics of Bacillus pumilus KTB-2 in batch culture have been studied. Allerton Press, Inc. 2013, COPYRIGHT 2013 Co-published by Springer and Allerton Press, Inc.
Biodetritus that formed over a 7-month period in microcosms with Viviparus viviparus, Unio pictorum, and Ceratophyllum demersum contained a number of elements. This is the first study to determine concentrations of some elements in biodetritus. Neutron activation analysis showed that the elements’ concentrations decrease in the following order: Ca > Zn > Ba > Br > Ce > Se > Nd > La > U > Hf > Sb > Th > Sm > S > Cs > Au. The data obtained contribute to understanding of the polyfunctional role of aquatic organisms in aquatic ecosystems. Why is this result here? Your query matched the indexed full text of this document. This study deals with the effects of sodium dodecyl sulfate (SDS) (0.1, 1, and 10 mg/l) on the growth dynamics and physiological state of the microalga Dunaliella salina Teod. (Chlorophyta). The effects of SDS increase with increasing concentration. At 10 mg/l, this toxicant significantly inhibited microalgal growth and led to a decrease in chlorophyll a and carotenoid contents. The effects of the anionic surfactant sodium dodecyl suplphate on the aquatic macrophyte Potamogeton crispus L. are studied. Concentrations of 83–133 mg/l caused fragmentation of the stems of plants. The tolerance of the plants to the negative effects of the surfactant was higher in the spring (April) than in the autumn (September). Copper is one of the key heavy metals that pollute environment and constitute a serious threat to the health of humans and ecosystems. Copper may enter the aquatic environment in both soluble and nanoparticle form. It was previously found in a series of studies that nanoparticles, including those of several metal oxides, exercise both negative and positive effects on the higher plants which makes necessary further research on the interaction between metal oxide nanoparticles and plants. Interactions between aquatic plants and copper-containing nanoparticles were not sufficiently studied. The goal of this study was to contribute to the investigation of the interactions between CuO nanoparticles and the aquatic plant Elodea canadensis under the conditions of experimental microcosms. It was found that CuO nanoparticles demonstrated some phytotoxicity to Elodea canadensis. After the incubation of Elodea canadensis in the aquatic medium contaminated with CuO nanoparticles there was a significant increase (by two orders of magnitude) of the concentration of copper in the biomass of the plants. 1. Photoinduced generation of electric current by bacteriorhodopsin, incorporated into the planar phospholipid membrane, has been directly measured with conventional electrometer techniques. 2. Two methods for bacteriorhodopsin incorporation have been developed: (a) formation of planar membrane from a mixture of decane solution of phospholipids and of the fraction of violet fragments of the Halobacterium halobium membrane (bacteriorhodopsin sheets), and (b) adhesion of bacteriorhodopsin-containing reconstituted spherical membranes (proteoliposomes) to the planar membrane in the presence of Ca2+ or some other cations. In both cases, illumination was found to induce electric current generation directed across the planar membrane, an effect which was measured by macroelectrodes immersed into electrolyte solutions on both sides of the membrane. 3. The maximal values of the transmembrane electric potential were of about 150 mV at a current of about 10(-11) A. The electromotive force measured by means of counterbalancing the photoeffect by an external battery, was found to reach the value of 300 mV. 4. The action spectrum of the photoeffect coincides with the bacteriorhodopsin absorption spectrum (maximum about 570 nm). 5. Both components of the electrochemical potential of H+ ions (electric potential and delta pH) across the planar membrane affect the bacteriorhodopsin photoelectric response in a fashion which could be expected if bacteriorhodopsin were a light-dependent electrogenic proton pump. 6. La3+ ions were shown to inhibit operation of those bacteriorhodopsin which pump out H+ ions from the La3+-containing compartment. 7. The photoeffect, mediated by proteoliposomes associated with thick planar membrane, is decreased by gramicidin A at concentrations which do not influence the planar membrane resistance in the light. On the contrary, a protonophorous uncoupler, trichlorocarbonylcyanidephenylhydrazone, decreases the photoeffect only if it is added at a concentration lowering the light resistance. The dark resistance is shown to be higher than the light one, and decreases to the light level by gramicidin. 8. A simple equivalent electric scheme consistent with the above results has been proposed. It is proposed to assess the admissible runoff withdrawals in small river basins by a complex of calculations involving hydrological analysis, the estimation of conditions required for the sustainable functioning of aquatic and terrestrial ecosystems, and, finally, the evaluation of the admissible withdrawals based on the functioning conditions of an existing or anticipated water management system. The kinetics of the bacteriorhodopsin photocycle, measured by voltage changes in a closed membrane system using the direct electrometrical method (DEM) of Drachev, L.A., Jasaitus, A.A., Kaulen, A.D., Kondrashin, A.A., Liberman, E.A., Nemecek, I.B., Ostroumov, S.A., Semenov, Yu, A. & Skulachev, V.P. (1974) Nature 249 , 321–324 are sixfold slower than the kinetics obtained in optical studies with suspensions of purple membrane patches. In this study, we have investigated the reasons for this discrepancy. In the presence of the uncouplers carbonyl cyanide m ‐chlorophenylhydrazone or valinomycin, the rates in the DEM system are similar to the rates in suspensions of purple membrane. Two alternative explanations for the effects of uncouplers were evaluated: (a) the ‘back‐pressure’ of the Δµ˜ H+ slows the kinetic steps leading to its formation, and (b) the apparent difference between the two systems is due to slow major electrogenic events that produce little or no change in optical absorbance. In the latter case, the uncouplers would decrease the RC time constant for membrane capacitance leading to a quicker discharge of voltage and concomitant decrease in photocycle turnover time. The experimental results show that the primary cause for the slower kinetics of voltage changes in the DEM system is thermodynamic back‐pressure as described by Westerhoff, H.V. & Dancshazy, Z. (1984) Trends Biochem. Sci. 9 , 112–117.